I was invited to meet up for lunch by blogger Iamthewitch way before my China trip in August. But being so busy at that time, I told her we could only meet up after I return from China. And she had better book me in case I had other appointments! Well, that's exactly what she did. Witch booked me for lunch on a Sunday in August. Gosh! I can't even remember which Sunday that was! Let me refer to my schedule - oh yes, it was on the 23rd August. Huh? So long ago? I guess this post is severely overdue! Thank you Witch for the invitation! I felt so important that you had to book me for lunch one month in advance. Haha! Anyway, I met up with her and her boyfriend (or should it be fiancé?) Saucer at Chili's in Mid Valley at 12pm. Now please don't laugh at that name Saucer. I did! Hahaha! So here's the photo of the beautiful couple. Oh, she wanted to take photos too! But no photos of me, thank you! 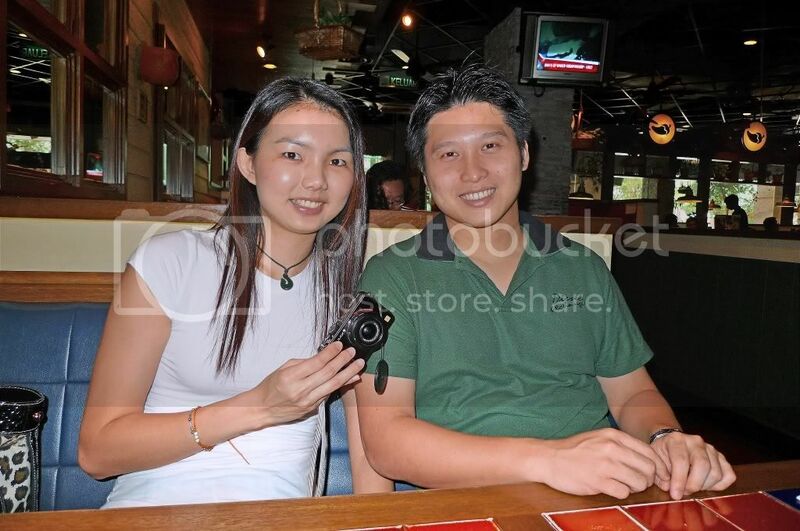 I think we have one thing in common, and that is, we both own a Panasonic Lumix LX3 camera! Cool! OK, I know we have a lot more things in common like we both love sweet desserts! Yum! Yum! And of course, we both like to blog! Anyway, here's what Witch and Saucer ate. Oops! I forgot what's the name of the dish. Is it chicken fajitas in tortilla wrap or something like that? 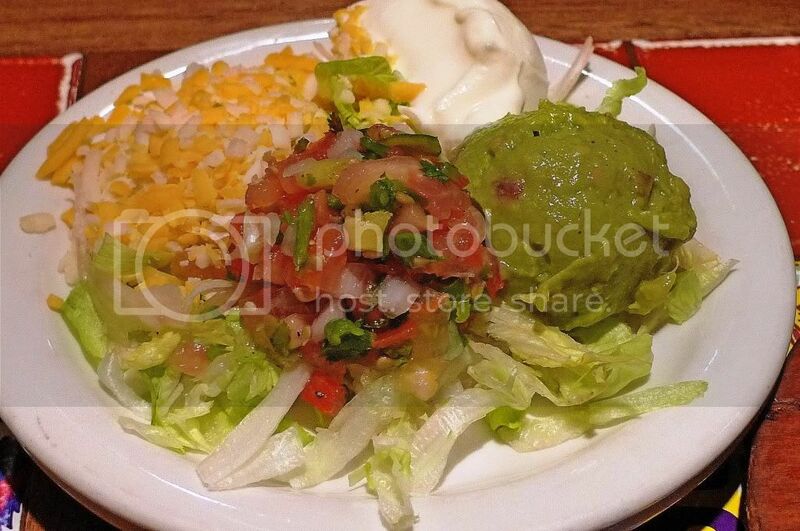 For those of you who frequently go to Chili's, I am sure you know the name of this dish! Double oops! I forgot to take photo of the tortilla wraps which looks something like roti prata to me. You are supposed to put the chicken strips onto the tortilla, add in the ingredients shown from the photo below, then roll up the tortilla and eat it! By the way, the tortilla wraps are unlimited, meaning you can ask for more if you run out. But don't count on the chicken being unlimited of course! Haha! Oh no! I forgot what it's called! I really must do something about my memory! Let me see, I think it's called Southwestern Grilled Lamb. I hope I am right! Anyway, it's definitely a lamb. Haha! 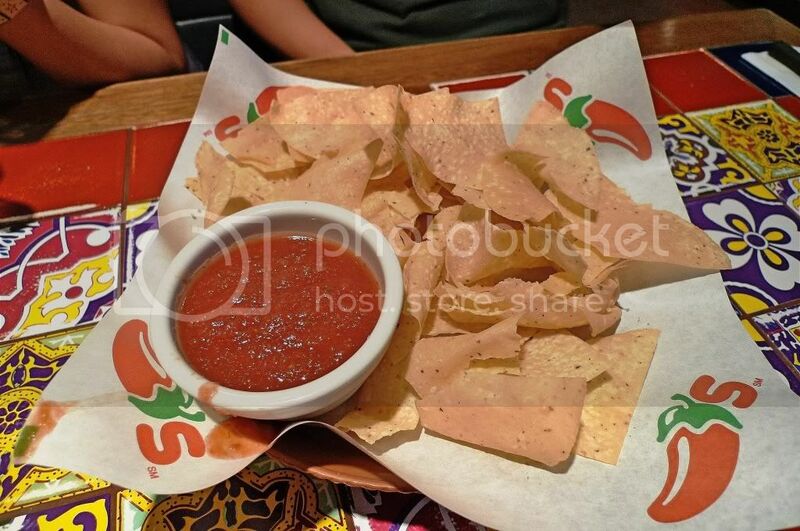 And we all ordered the popular bottomless Tostada Chips. The key word here is "bottomless". For the uninitiated, it means limitless. In other words, you can refill again and again. Now isn't that fun? 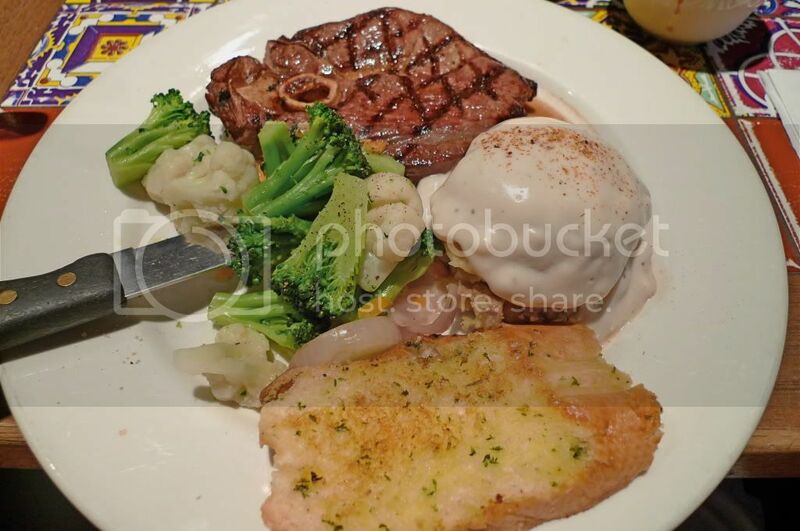 The perfect food to munch away while we spend hours chit chatting! But unfortunately we did not spend hours chit chatting. That's because I had another appointment at 2.30pm. I can't believe I was that busy! Anyway, our two-hour lunch was great. We chit chatted quite a lot about blogging, my China trip, and how Witch could be in two places at once. Like one time I read her blog she was in PJ, the next post she was in Penang. Then the post after that, she was in KL. I was really amazed (or should I say confused?) by her God-like ability! Ok, the truth is (according to her), some of the posts were about events that happened some time back. Like this post lah. Long overdue. You get what I mean right? If you don't, just ask Witch. I'm too lazy to explain. LOL! For those of you who have never met Witch before, let me reveal a secret about her. Witch, you will forgive me, right for revealing this? I hope you will! The secret is this. She is very tall! Yes, very very tall! In fact, she is slightly taller than me. Please note the emphasis is on the word "slightly". LOL! OK, another way of looking at it is I am short. But that cannot be. A lot of girls are shorter than me, so no, Witch is the one with the problem here. I am totally fine. Well, lucky for her, Saucer is taller. Haha! Witch, have you ever thought of becoming a model? You know, just in case your current job doesn't work out? What? You have to ask Saucer first? Sure! It's just a suggestion! It's great meeting up with both Witch and Saucer. Hopefully we will have the chance to meet up again next time! That's certainly overdue but good food never lose its taste, same goes to a blog post too. Have yet to try out Chili's, jakun betul. Chop! Awshucks! hehe... Good morning, Foong. It's going to be a cool day, isn't it? Have a great w/e. The best thing I like at Chilli's is their burger! not only the chips are bottomless, the soft drinks can be refilled as well. but i'm certain the cost of refills has already been factored into the price. About refills, reminds me of the Chinese saying of "lye siong poh ha". Clever strategy. u're living in a very busy life. Wow nice! You sure its Southwestern Grilled Lamb? Looks like lamb, smells like lamb but it could possibly not lamb..
yup, their the fajitas, tex-mex dish i reckon. Wah, foong done with your China post already kah? Wow at the limitless refills! chilis! have been there few times and still love it! hehe...nice! Usually get the Bottomless Tostada Chips as well. They used to have a really great onion blossom but they removed it from the menu a while back. 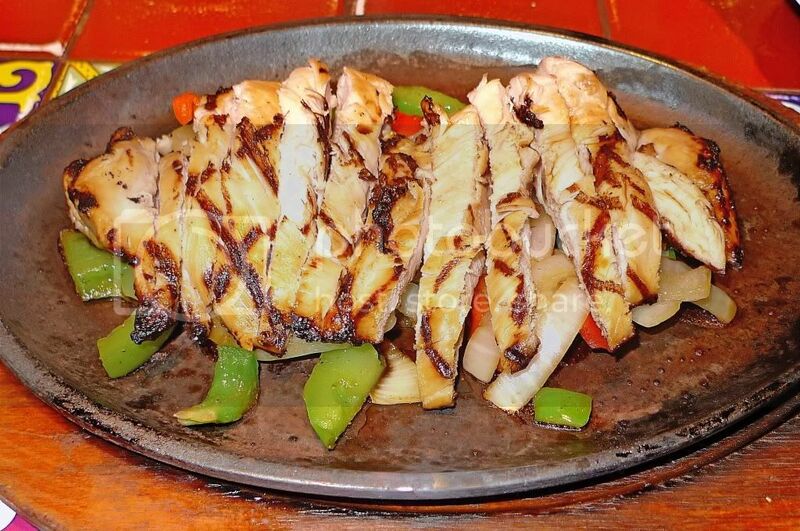 The strips of chicken looked really yummy. I love that green creamy stuff in the second photo...my favourite. It's guacamole isn't? Goes well with tortilla. u see her arms oso can see that she's tall ler. hahaha. Saucer. I didnt laff.foong u so bad. laffing at ppl's name. lol..
She is a pretty and sweet looking girl, why call herself witch? U oso mysterious don wan to reveal face meh? He he! Enjoy ur weekend, going to another nice resto? the couple is ideally suited physically. should produce a whole breed of beautiful children one day. i walked pass chili's a lot of time..
but never once dine in there..
Look like a very nice dining out place! haha definitely a lamb! you can see in the picture =P is that icecream on the plate LOL?! eiling, their burger is nice? Is it nicer than Tony Roma's? happysurfer, yes clever strategy! Most of the time, I cannot drink more than 2 glasses! lina, cannot finish? Good! Next time we go Chili's. What you cannot finish, pass to me. LOL! savante, onion blossom? What the heck is that? I've never tasted that before! manglish, haha! Our stomachs are indeed bottomless, no? lawstude, guess what? I am starting to get hungry even as I type this comment. LOL! eastcoastlife, witches can be beautiful also what! Look at Nicole Kidman who played the witch in the remake of Bewitched! LOL! TZ, I would like to add the molten choc cake to your chips and margarita. Then it would be a perfect dinner/supper for me! LOL! mariuca, I prefer not to show my face so that I can remain mysterious... Haha! bengbeng, ooh! Wait till Witch and Saucer read what you commented! Haha! jam, yes very nice indeed! No Chili's in Sibu I guess? Severely overdue alright! :p She booked up one month in advance. War...you are such a celebrity right now. So you met up with the witch and the wizard lar! :p Ouh...so now I know you use Lumix LX3 too! But still Olympus rocks! I have never been to the Chili's!The dish you had, the lamb really looks nice. Ohhh I must go to Chili's liao. You tempt me!!! Waa waa book you in advance.. busy busy foong! Food looks good! but the companion is much better I am sure of it! Waaa overdue post ar? Nevermind food not expired though :P.
tekkaus, same to you! Happy Mooncake Festival! Did you enjoy your mooncakes? I also have an Olympus camera! Still in good condition, maybe I should sell it on ebay! Btw, Lumix LX3 rocks! LOL! manglish, yeah go Chili's and gobble up that molten choc cake! haha! ladyviral, yes must book me in advance. Haha! Food and companions are equally good! Yeah, didn't even realise this lunch was so long ago! Luckily I remember to blog about it! LOL! iamthewitch, yes finally! Haha! Want my photo? OKlah, next time we meet again, we pose for a photo together, yes? wahhh must book you in advance huh Foong?! same here lah hahahahha!!! I wan to try their Grilled Lamb!! the couple looks compatible and lovely. but why can't you show a pic of u, Foong? i haven't taken my breakfast and i'm so hungry now looking at those food. monica, you too? So you are as busy as Najib, is it? I'm busier than Najib. Haha! life ramblings, I prefer to remain hidden and mysterious, haha! It's normal to feel hungry looking at these foods. If you don't, then something's wrong somewhere. Haha! foong so busy has to be booked a month ahead! have been the choice of aviators for over a hundred years now, and their pedigree is second to none.